One of the business aircraft which combines reliability with budget pricing. This plane is a great choice for flights under 500 miles. The cabin is very spacious and offers ample space for baggage. This plane will be a great choice for smaller communities and airports with short runways. The King is one of the most successful Private Jet aircraft and has been in production for over 40 years. The new Pilatus C12 is a single propeller aircraft build in Switzerland, some models accommodate up to 9 guests. 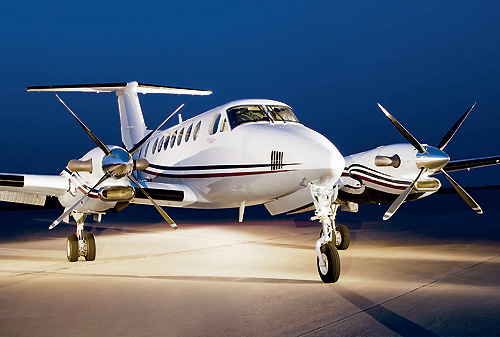 The King Air models include the following: King Air 300, King Air 100, 200, King Air C90. Pilatus C-12. Understand that Operators will charge minimum hours for shorter flights- please ask for a quote. Please contact our Flight Support line at P.702-336-7345.